Your sleep is our priority: we take care of everything, we take care of you. 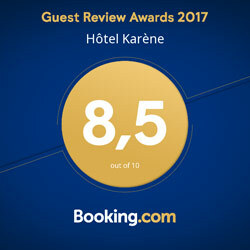 The hotel Karène is composed of 36 rooms in a cozy and relaxed atmosphere including 31 air-conditioned. We also have two rooms "access for all" with the same services. 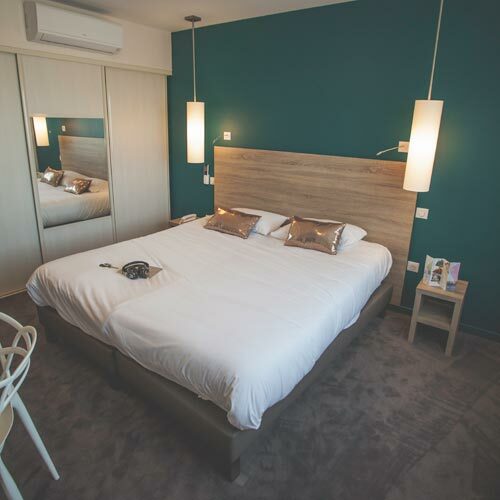 In family, you will find, in our triple rooms, all the calm, the comfort and the equipment that you can require (possibility to add an extra bed or cot).